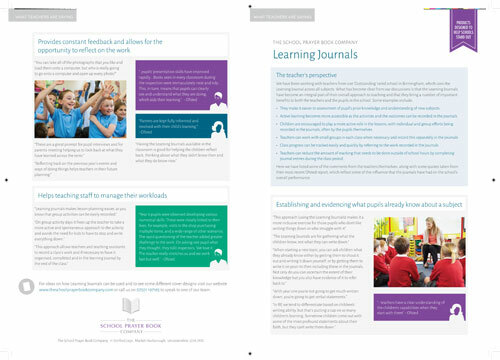 What do teachers think about using the Learning Journals? We interviewed a number of teachers from a school rated as ‘Outstanding’ by Ofsted and by Section 48 inspectors. The school uses the learning journals across all of their subjects and in these clips explain some of the important benefits that they get from using them. If you would like to receive a For a free copy of a leaflet detailing their responses please send us your details via the Contacts page.